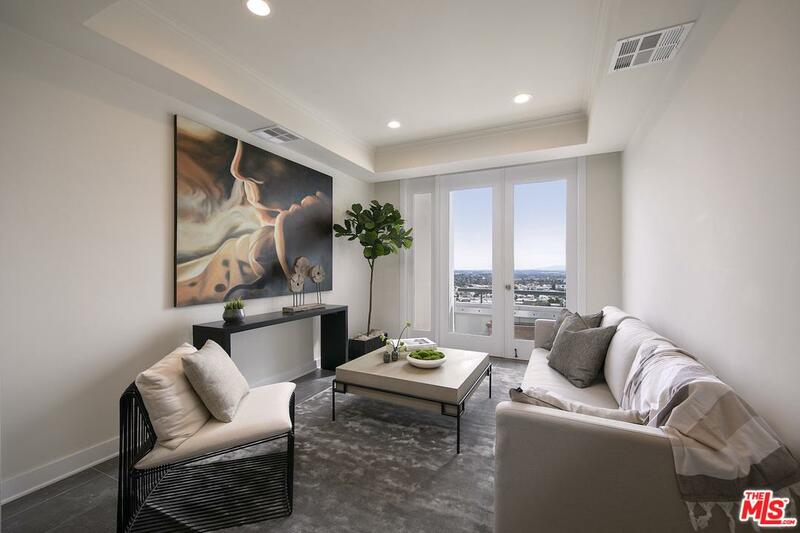 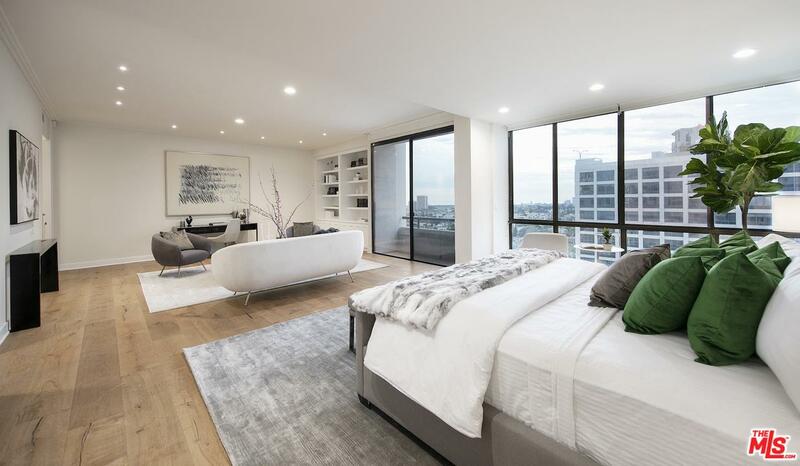 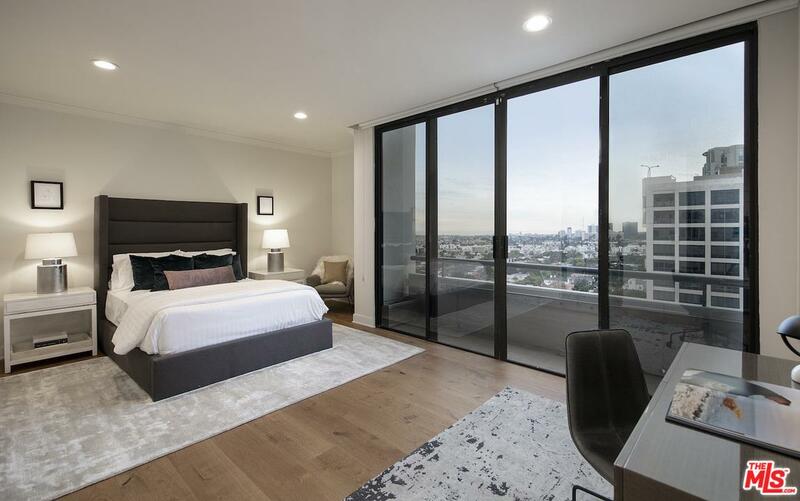 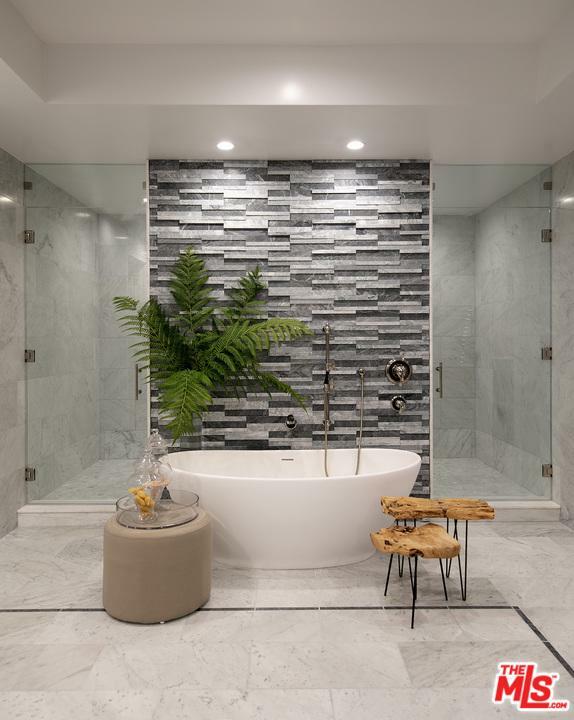 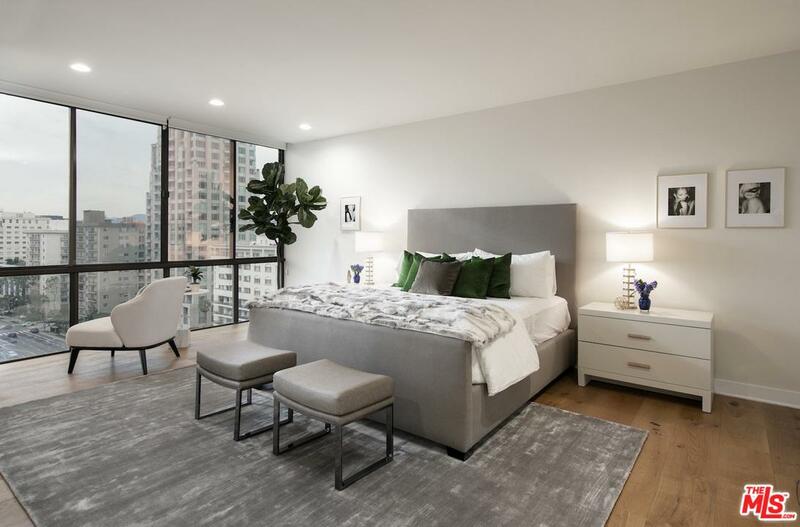 Perched high above the Wilshire Corridor, this rear, southwest corner Penthouse condo offers a gracious single level floor plan, with the service amenities of a private home and tremendous panoramic city-to-ocean views. 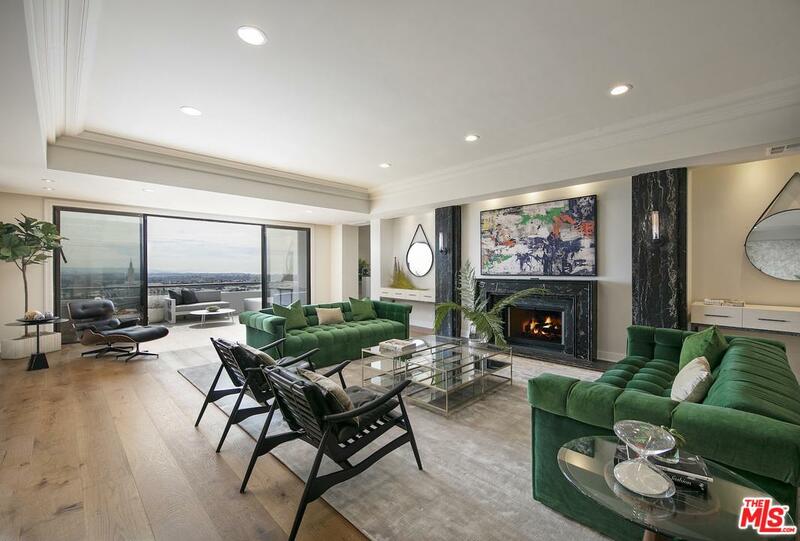 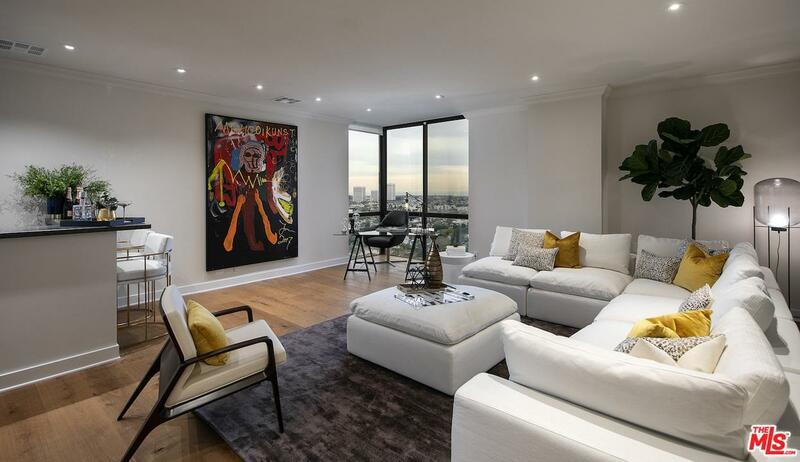 The entrance leads to a grand living room with multiple sitting areas, opening to a luxurious terrace with newly updated glass railings providing unobstructed views. 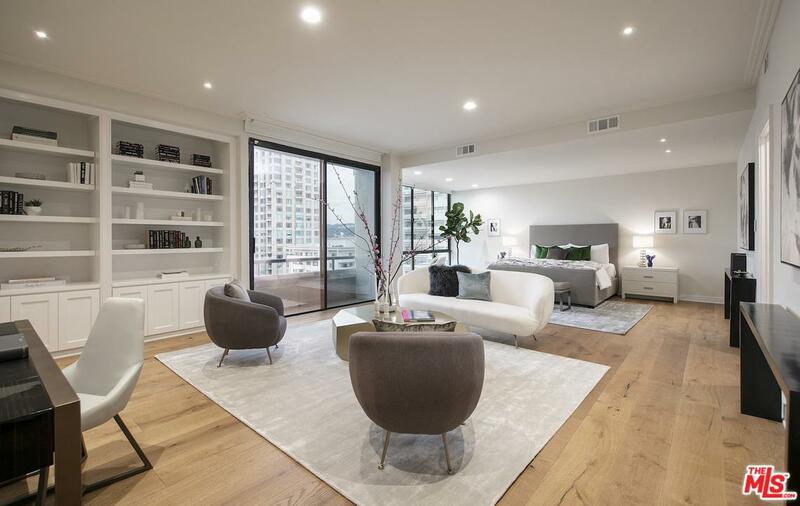 To the right of the living room, French Oak wooden floors lead to a den with built-in bar. 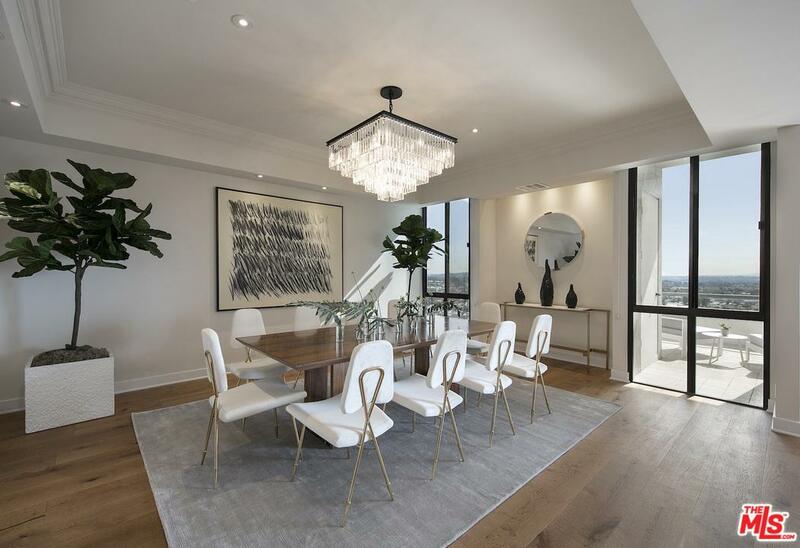 The formal dinning room offers floor to ceiling views for unforgettable entertaining. 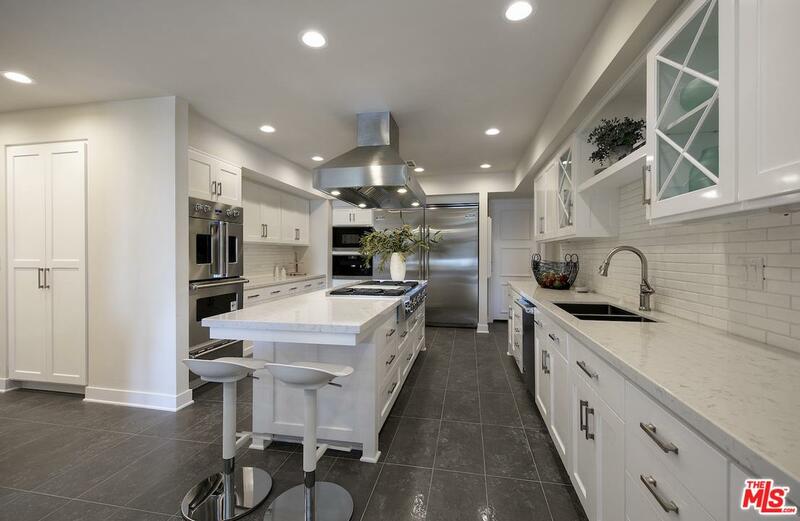 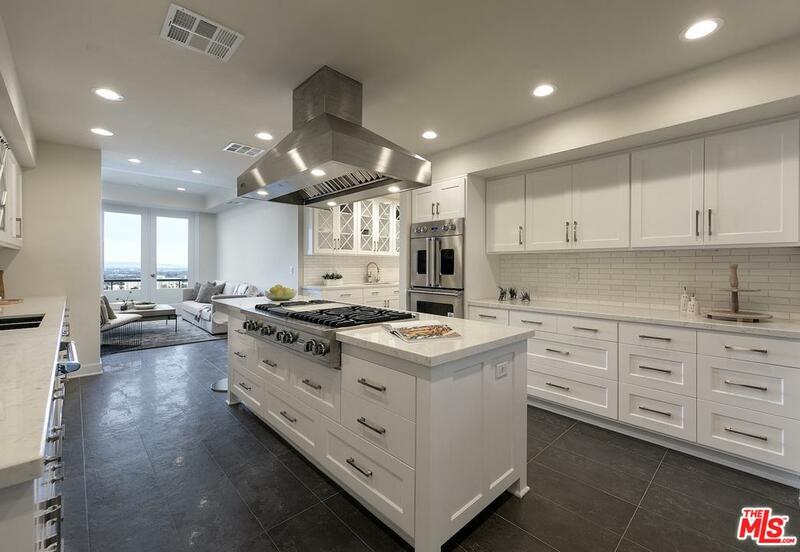 Off the dining room is a large cook's kitchen with a full range of Viking appliances, marble counters, plentiful storage, pantry with service entrance, and breakfast nook perfect for daily gatherings. 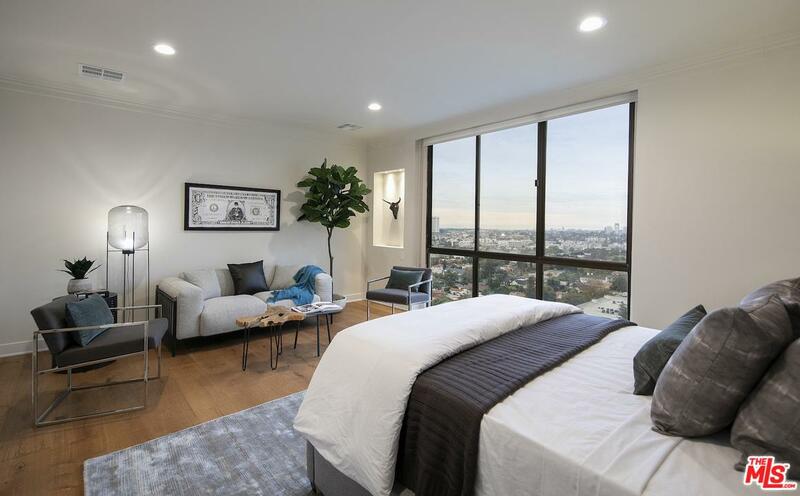 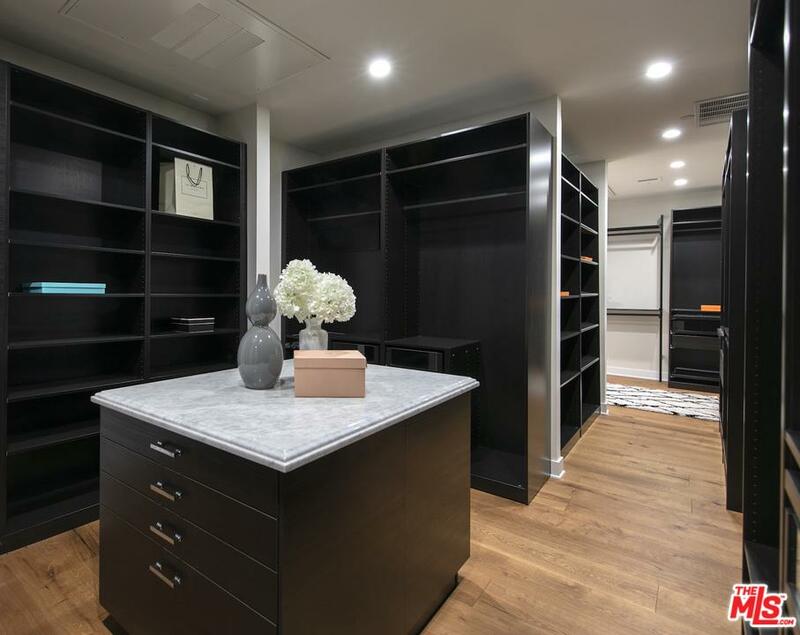 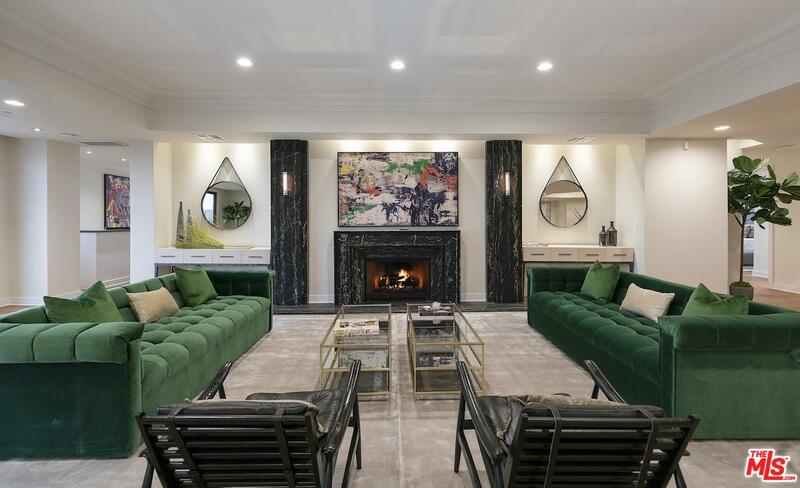 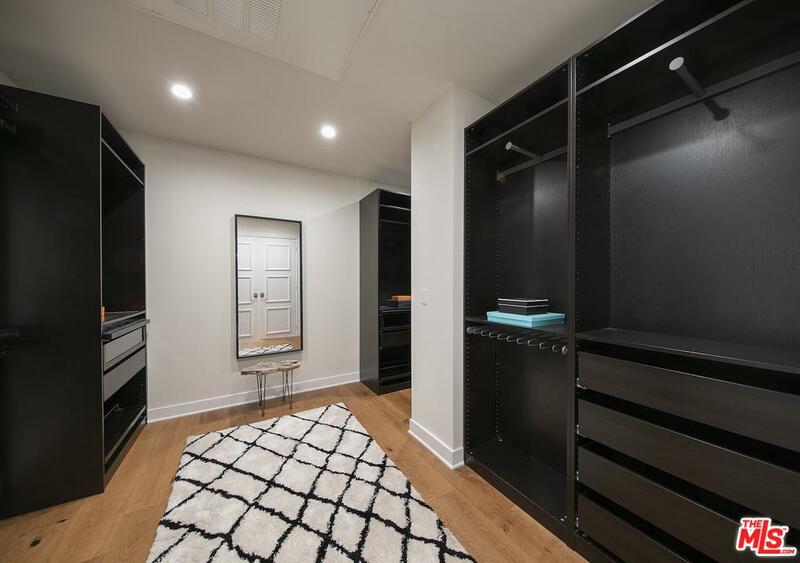 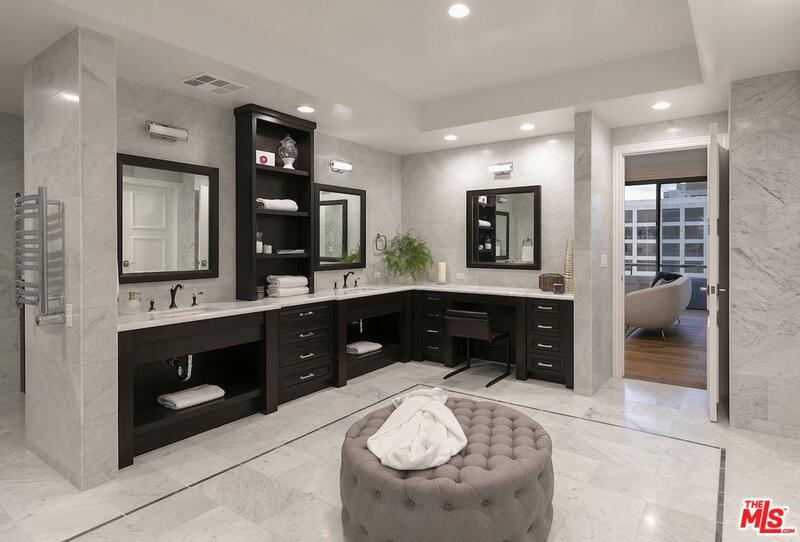 The fully remodeled penthouse is an opportunity to own a one of a kind penthouse, with true single-family ambiance. 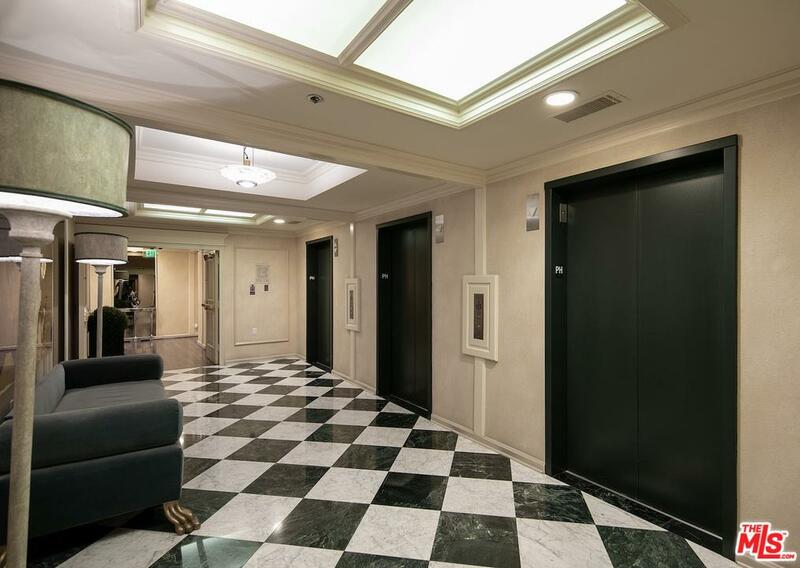 The ultimate in high-rise security, privacy and convenience.